Demand for guns and ammunition has cleaned out stores nationwide, leading to waiting lists and early morning lines outside of gun and sporting good stores for ammunition shipments. Common calibers routinely sell out within minutes of appearing on store shelves and prices have soared as much as 70 percent. After the Newtown elementary school massacre, gun enthusiasts, already anxious President Obama’s re-election would translate into harsh controls on gun ownership, have packed stores, buying as many firearms and as much ammunition as they can find. Moves to expand background checks and limit firearm and magazine sales have added to the hysteria. 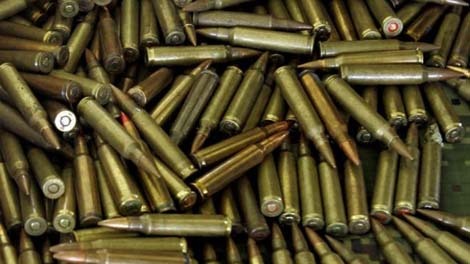 Massive government purchases, including a plan by the Department of Homeland Security to buy more than 1 billion rounds of ammunition, have further stoked fears – and suspicions. My very first story for FoxNews.com!